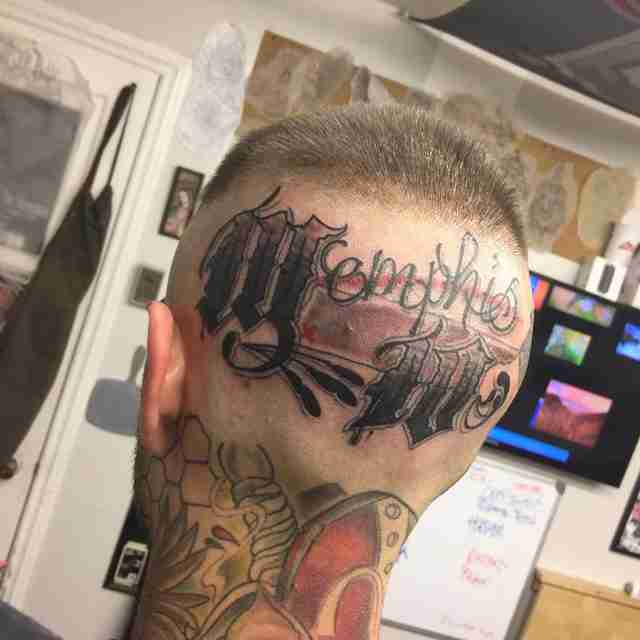 The tattoo scene in Memphis has been a bit slow to find its footing, especially when compared to larger cities like LA or New York. However, that's all changing thanks to a few passionate individuals -- and shops -- who recognized the need to bring quality art into the birthplace of rock 'n' roll. As for the styles, there are many. Traditional art will always be popular because of the bikers, sailors, and rockabillies who built the subculture. Old-school artists were proficient in Japanese, so you see that living on in the work of their apprentices. There’s also a lot of Egyptian and Masonic themes, harkening back to our city’s namesake and foundations. Whatever it is you're looking for, you can find it in Memphis. And that's in large part thanks to the shops and individuals below who work their asses off to make sure they stay at the top of their game. Before you walk into any old shop, check this list out first. It might just save you from getting Eric Cartman tattooed on your forearm. In the heart of the Highland strip one block from the U of M, Trilogy tattoos opened its doors in June of 1998. They have seven experienced artists and three seasoned piercers. One of their most well-known artists, Nathan Parten, got his start in 2001. A friend from MCA with was tattooing and suggested he try it a few times. When he got bored with his graphic design job, he finally went to watch. “I was immediately enthused,” says Nathan. “I started my apprenticeship that week. Trilogy is a great shop that's full of fantastic artists who all encourage and challenge each other. They have a lot of return clientele and work on big session pieces. Nathan does a lot of painterly and illustrative work (IG: @NathanParten). All appointments must be made in the shop and require a non-refundable $60 deposit. The hourly rate is $120/hr. Inked is a state-of-the-art tattoo shop that opened inside Minglewood Hall five years ago. Their tattoo artists are hand-picked and represent some of the finest in town. The current manager, Brent Hale, got his first tattoo at age 14, and knew it was for him. At age 18, he got a job as a body piercer and started tattooing in his mid-20s after a good bit of traveling. He enjoys all styles of tattooing, but mainly does traditional/neo-traditional tattoos (IG: @brenthaletattooer). Inked has a minimum charge of $75. And the hourly rate is $125-$150 depending on the artist. He designed and built the interior of the shop himself and it truly reflects his personal aesthetic. Ronin is a one person shop at the moment, so Babak says he has to be comfortable with all styles. But if he had to choose, he’d say black and gray realism and portrait work are his specialties (IG: @roninmemphis). He does about 30-40 tattoos a month, and charges $100/hr. Image-wise the shop is gorgeous, and James notes that it has the nicest bathroom he’s ever seen in a shop. His style is the new traditional or neo-traditional -- which combines the bold line work of American Traditional tattoos and nontraditional color theory or format/application. 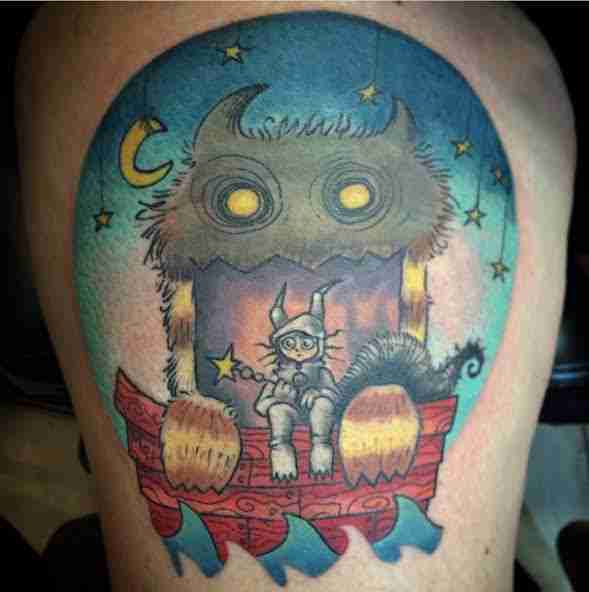 He also enjoys working on designs with faces, hands, and cute animals (IG: @jauntyjamestattoo). Illusion Ink has a minimum between $40-$60 and a $125 hourly rate, but they are open to working with clients on pricing. Jake became interested tattooing after getting a terrible tattoo from a 20 year veteran. “My arrogant teenage ego jumped in and thought, ‘I can do better than that!’ Little did I know that I was about to get a taste of humble pie,” he says. He moved to a private studio last year after 14 years at Underground Art. It is an appointment based studio with no front desk or open door. He’s surrounded by artists of all sorts -- a fashion designer, several photographers, bloggers, illustrators, etc. His focus over the last few years has been oil painting and he tries to bring painterly techniques into his tattooing, which is mostly large-scale color work (IG: @pluguglyart). He only works on six to eight projects at a time. His rate is $150 per hour with a two hour minimum. Side note: Jake is also the founder of the Tattoo Improvement Network which focuses on encouraging tattooers to explore other mediums and hone their skills. They have a video podcast (Fireside Tats), a Technique series (Fireside Technique), as well as a blog (Fireside Weekly). They recently began a more focused version of online tattoo education called Inside Fireside where they take small groups of artists and work with them individually. 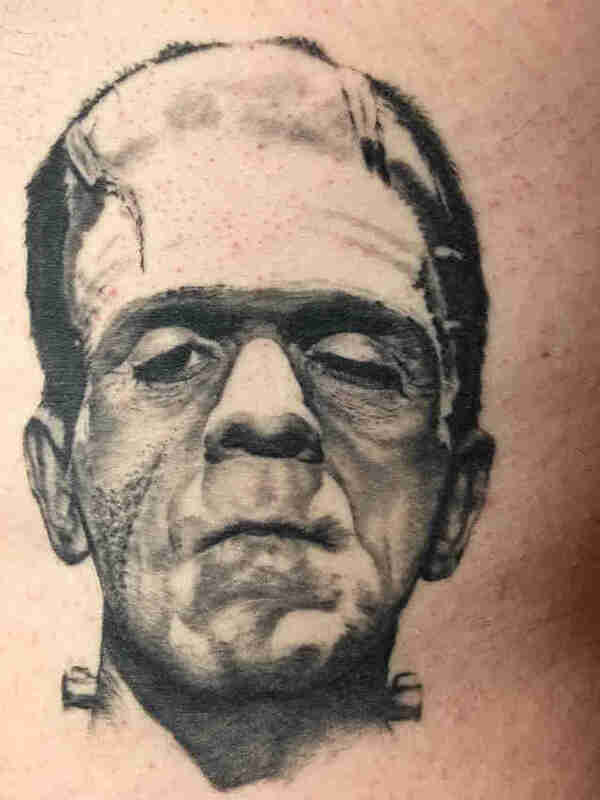 Check it all out at tattooimprovement.com. Underground Art, in Cooper-Young, has been voted Memphis' Best Tattoo and Piercing Shop by the Memphis Flyer for 17 years. They have been adorning the Mid-South and beyond since 1993. 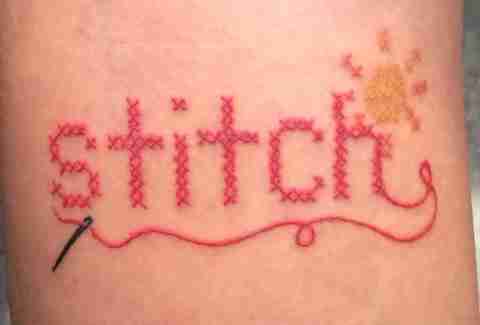 They specialize in custom tattoos, precision body piercing, needle play, wit, and wisdom. They are woman-owned and strive to be a positive part of the community. Vanessa Waites completed her apprenticeship at Underground Art and has been tattooing there for ten years now. She has a degree in fine arts from U of M. She was drawn to UA because it was one of the first custom tattoo studios in the Mid-South and the first in Memphis. She does a lot of everything, but thinks her watercolor tattoos are the best (IG: @lochnessamonster). The rate is $125 per hour. Which Memphis Neighborhood Should You Move To? Dustin got his start in 2000. Over the years, he developed the skills to tattoo a multitude of styles, but he has become known for American traditional and Japanese tattooing. “I don't like putting up any walls or specific titles on my work as I don't want to limit myself to anything in particular. My goal is to give the client the tattoo of their dreams and make their day, month, and year,” he says (IG: @DapperDustin42, @42tattoomemphis). Rates are $150 per hour for larger work. Smaller, one session pieces generally are given a flat rate based on detail, placement, and time. No Regrets Tattoo Emporium, outside of Overton Square, opened in 2007. They currently have nine artists to suit every style. Artist Anthony Max was a poor college student trying to make a living as a painter when he spotted an advertisement in the Memphis Flyer for a tattoo apprentice. “I responded and snagged the job, and it turned out to be the best decision I've ever made.” he says. That was 18 years ago. “It's nice to see my art walking around the world instead hanging on a wall gathering dust,” he says. Anthony specializes in painterly-style tattoos with vivid colors. He mostly does portraits, landscapes, flora, and fauna (IG: @rabideyes). The rate is $125 per hour, with a discount for clients who want full sleeves or other full body pieces of art. Stacey Greenberg lives in Memphis with her two sons. She is the author of the award winning blog, DiningwithMonkeys.com. She has no tattoos.